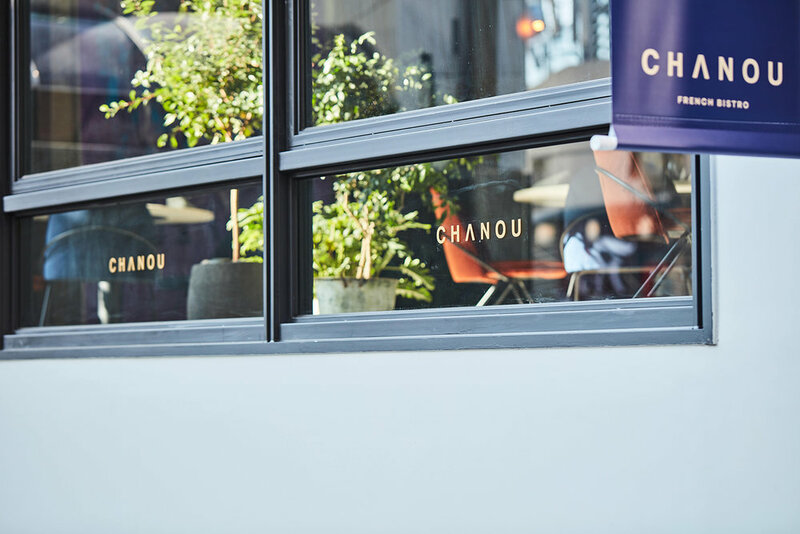 CHANOU, located in the center of Cheongdam-dong in Seoul, Korea, is a French bistro run by chefs, Chanoh Lee and Mathieu Mores. 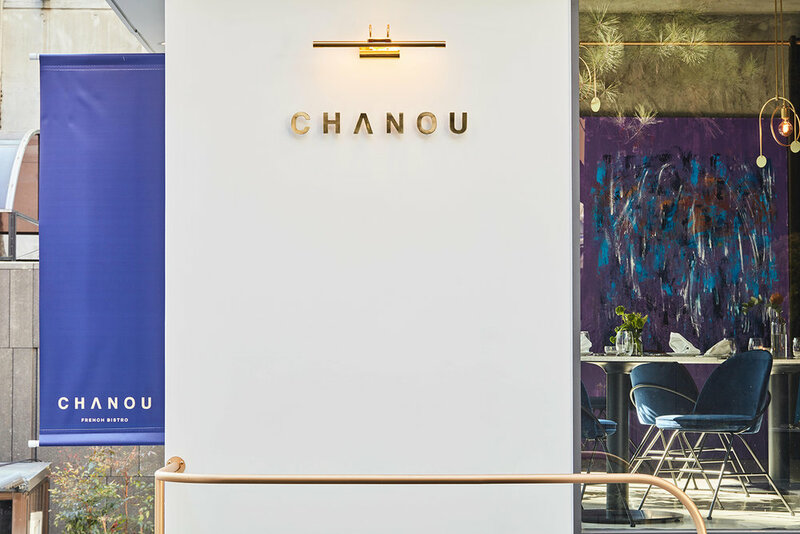 and trees along with art that we can reflect the sensitivity of the owner CHANOU, chef, Chanoh Lee. Sketches for CHANOU from our sketchbook. We have designed all of the furniture, shelves, lighting, etc. in this space. and simple form by properly using classic style materials such as velvet furniture, gold-colored lighting, and stain glass. We have designed three private rooms in this space. 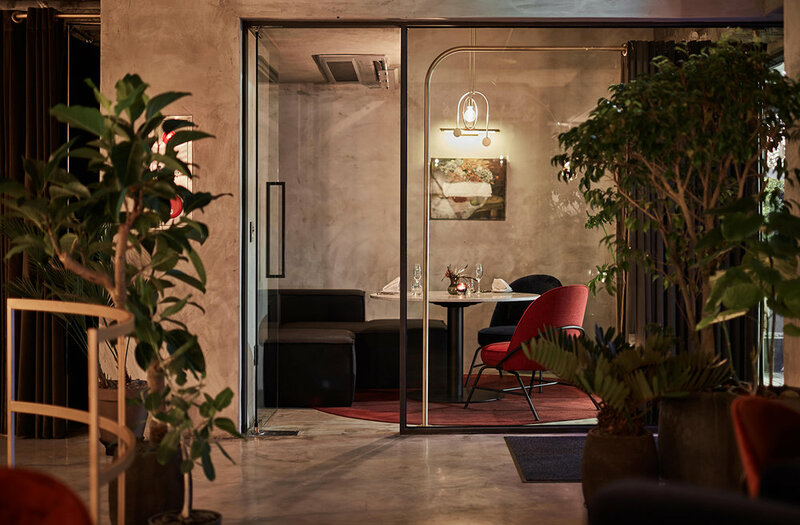 The private room, located near the entrance, is equipped curtains along the glass wall so that the room can be opened or closed in regard to the user’s mood. 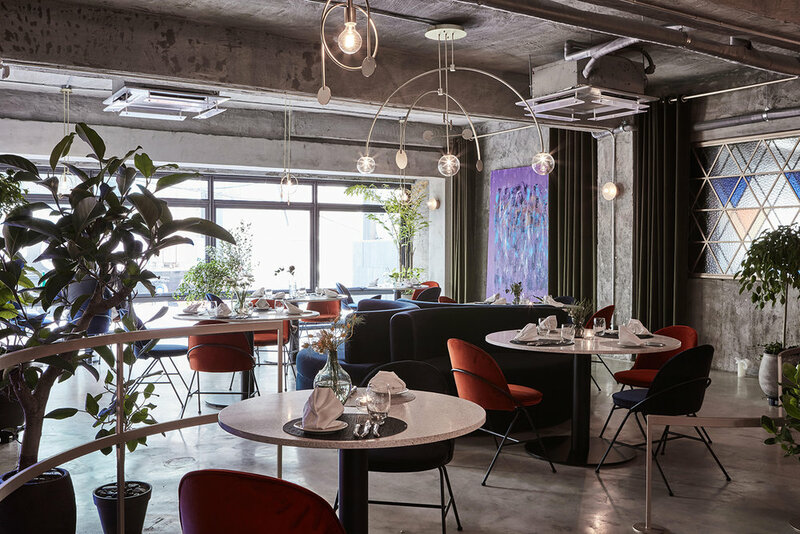 When opened, it can add an image of extended space as well as a new sensibility with different colors and feeling to the space. it makes the space cozier through a dark intensity of illumination. We have created this special private space by configuring comfortable furniture. 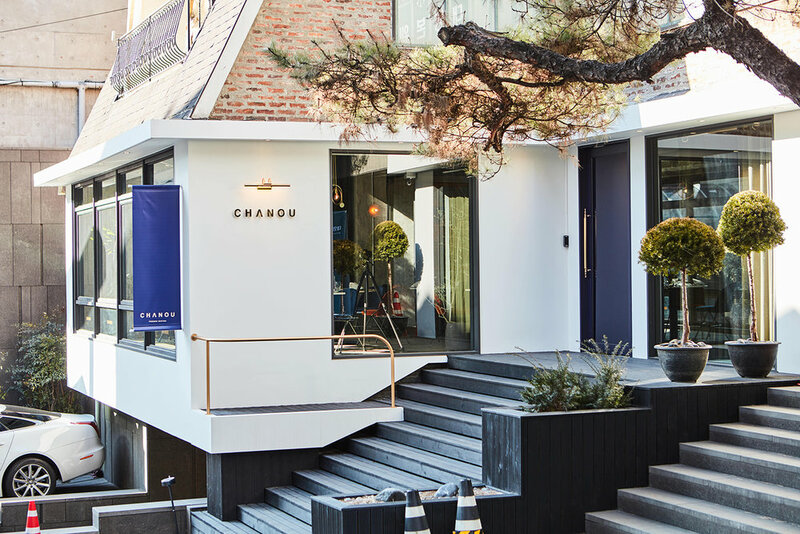 Chef Chanoh Lee of CHANOU and designer Joongho Choi worked on the project together. With designer Miran Jung and Junyoung Kim, who co-worked this project with.